This fantastic light disc consists of 7 SMD RGB LEDs. It illustrates a beautiful color combination much better than traditional RGB leds. You can control the LEDs via the RGB pins. By pulse-width-modulating the pins any color can be created by mixing different amounts of red, green, and blue. Running from a 5V source, these LEDs are painfully bright. Using a proper case, you can create a beautiful mood light in just minutes. It has built in resistors, it will work flawlessly with Arudino 5V power. This Disk requires PWM pins, you may use any Pins capable of PWM output. 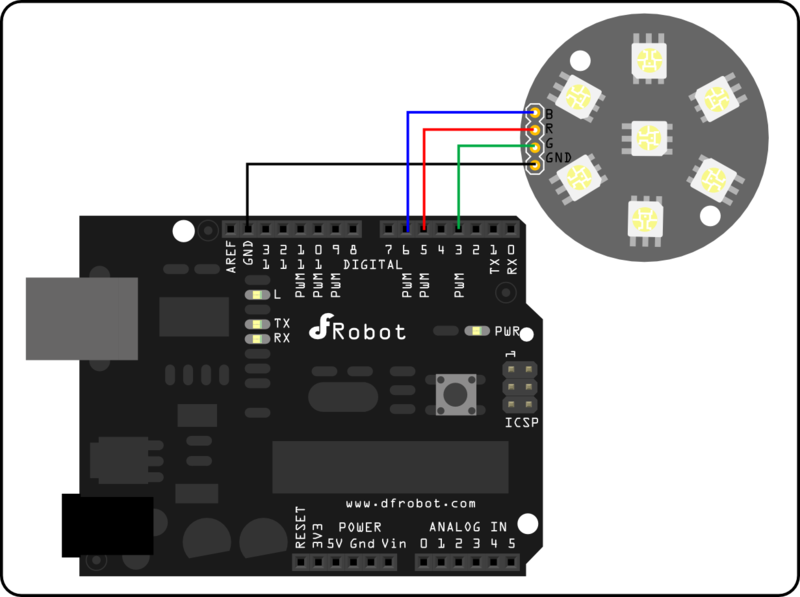 Get Light Disc with 7 SMD RGB LED from DFRobot Store or DFRobot Distributor.